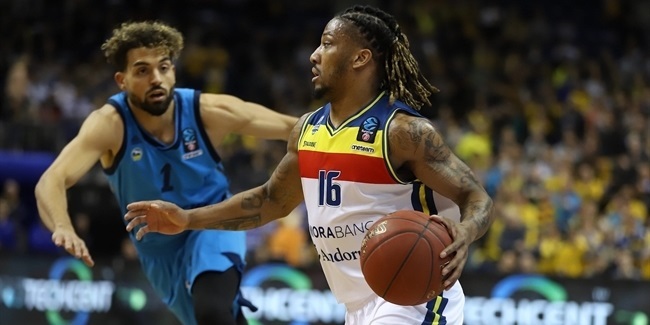 Although seven teams already having 7DAYS EuroCup Quarterfinals tickets in their pockets and there is only one survivor to be determined in the final round of the Top 16, there will be plenty to battle for on Tuesday and Wednesday next week. 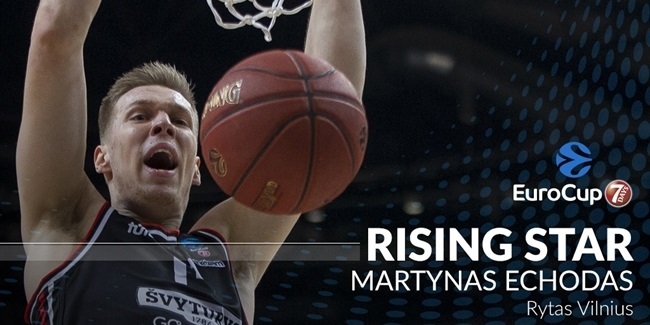 That last quarterfinal spot, the second place in Group E, will go either to two-time champion Rytas Vilnius (2-3) or to EuroCup newcomer AS Monaco (2-3) when those two teams square off against each other in the Lithuanian capital on Wednesday. The winner will be second in Group E and advance to a quarterfinals series against Group G winner Valencia Basket. 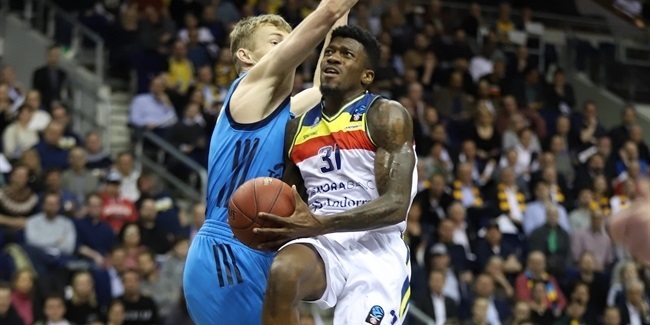 The losing team will end its EuroCup campaign. The other Wednesday clash with huge stakes will take place in Kazan, where UNICS (4-1) will host MoraBanc Andorra (5-0) in a battle for the first place in Group H. UNICS needs to win by 6 or more points to clinch first place. If MoraBanc wins, or loses by fewer than 6 points, than it will be first in the group and earn home-court advantage in the quarterfinals. The winner of that game will play against Lokomotiv Kuban Krasnodar, and the second-place team in Group H will face Group F winner LDLC ASVEL Villeurbanne. We already know one quarterfinal pairing: Group E winner ALBA Berlin (4-1) will play against Unicaja Malaga (3-2), which will finish second in Group G. ALBA is the only group winner, or current group leader, that has lost a game in the Top 16. The other three, ASVEL, MoraBanc and Valencia, have perfect 5-0 records. And even though ASVEL and Valencia have already secured first place in their respective groups, their Round 6 games matter a great deal to them, as well, because they are still chasing the home-court advantage throughout the playoffs, beyond the quarterfinals. Under EuroCup by-laws, the home-court advantage in all playoff rounds is determined by how the teams finish in their Top 16 groups. Their records are the first criteria, but if two or more teams are tied, other tiebreakers come into play. Since no group leaders play each other in the Top 16, what matters most if they are tied on wins and losses are their overall point differences within each of their Top 16 groups. That is the primary tiebreaker that will separate the eventual winners of the four quarterfinal series to determine which of them deserve home-court advantage in the semifinals. Should two or more teams also tie on point difference, then the higher team point total in the Top 16 would apply. The same process applies to the finalists; whichever did better in the Top 16 will play two of the three games for the title at home (if necessary). Going into Round 6, among the undefeated teams, ASVEL holds the pool position with a +52 point difference in Group F. MoraBanc is at +39 in Group H and Valencia at +36 in Group G. Interestingly, Group H's second-place team, UNICS, has 4-1 record and a +62 point-difference. So if UNICS defeats MoraBanc in their game, and if ASVEL and Valencia both lose, road to the title through the EuroCup Playoffs would be leading through Kazan, Russia.